Dino Frettered, Equine Bodywork Specialist. 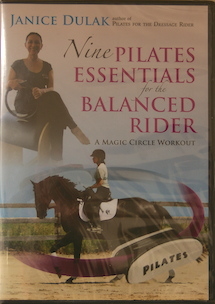 In this DVD, popular Pilates Instructor and dressage rider Janice Dulak breaks down the body into nine essential "parts" that riders often are not even aware they have, let alone actively engage and use. 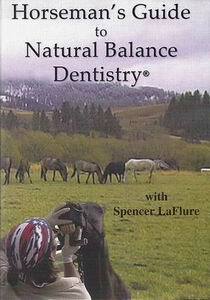 And yet, these nine essentials are the key to "speaking" to your horse with sophistication and eloquence. By using the body like a dancer would, and by incorporating the "Magic Circle" exercise ring in a series of exercises, riders get a workout that targets and trains these specific and very important muscles and muscle group in ways that will instantly apply to their riding. 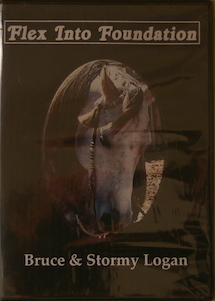 In this DVD learn how Bruce and Stormy develop a "Foundation of feel", offering a horse choice and responsibility and encouraging the horse to use his body efficiently with balance. In detail you will see how to shape and flex a horse, from his core, and specifically learn how to ride that shape through your own body and legs.